If you have been setting your sights on Antarctica then look no further than our ultimate guide to the Great White Continent. Using our 25 years of experience, we have put together this comprehensive tool to help you plan your adventure to the world's preeminent adventure travel destination! 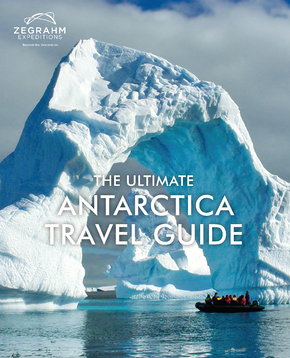 Discover all that Antarctica has to offer—from where to go to what you'll see. Find out exactly what to pack for this adventure of a lifetime. Read about the history of polar exploration. Learn about the iconic wildlife that calls this southernmost realm home. Get expert advice on the best time of year to travel, practical facts, and more! 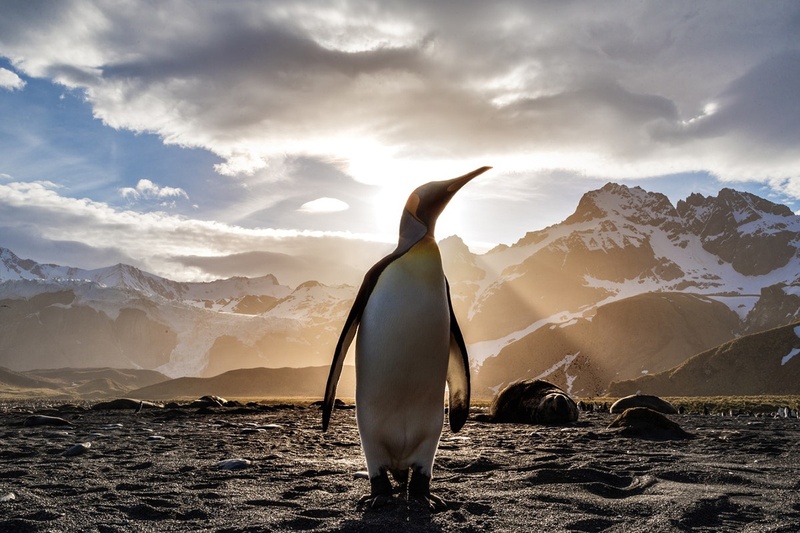 With remarkable scenery, unique wildlife, and a history rich with heroic exploits of famed explorers, it is no wonder that exploring Antarctica tops many travelers’ trip-of-a-lifetime lists. But, traveling to this remarkable destination takes careful planning and consideration. Read on to learn the ins and outs of exploring the Great White Continent. 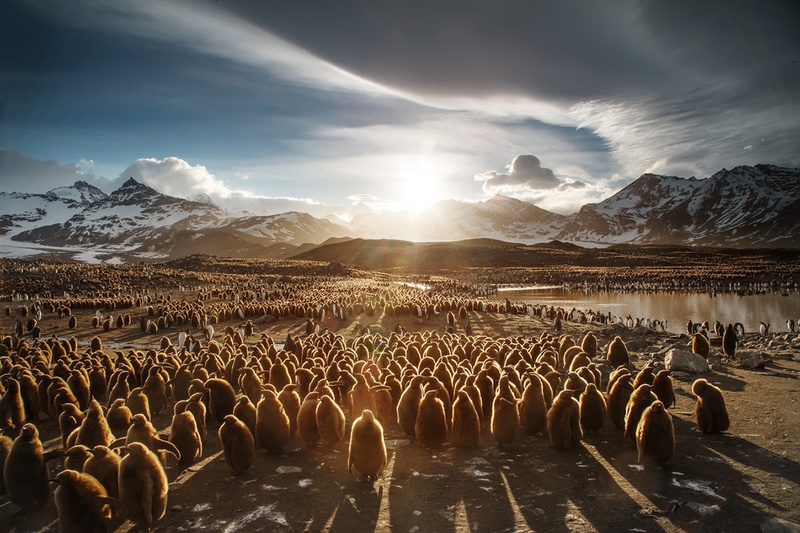 Penguin Colonies – Vast colonies of breeding gentoo, Adelie, and chinstrap penguins form on coastal beaches and offshore islands from November to February (austral summer), while colonies of emperor penguins congregate on fast ice in the coastal regions during the depths of winter. Glaciers – Antarctica boasts thousands of glaciers, many of which can easily be observed from the ship, on foot, while kayaking, or by Zodiac. Witnessing the huge chunks of ice as they calve and crash into the surrounding water is an unforgettable experience. Research Stations – There are many research stations scattered throughout Antarctica, with most located along the coastline or on the offshore islands. 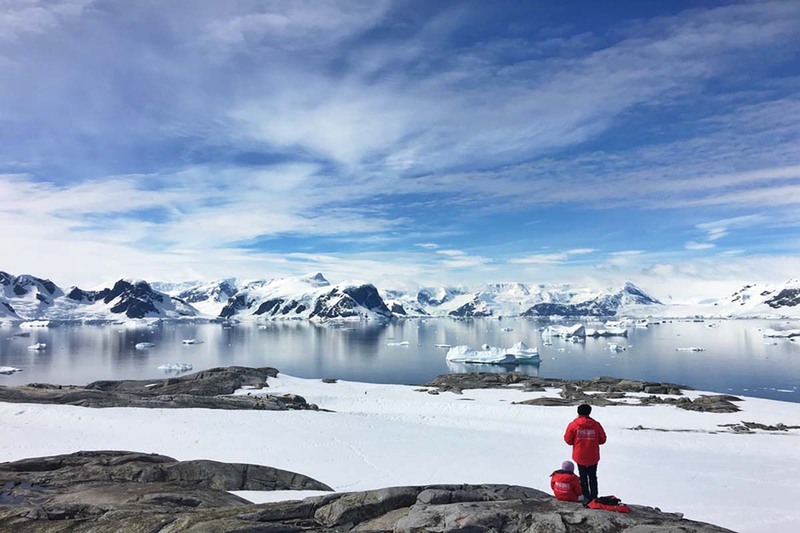 Visits include an opportunity to see and learn about the research being undertaken, as well as life on an Antarctic base. Historic Huts – Voyages to the Ross Sea region often include the historic huts of British explorers Sir Ernest Shackleton and Robert Falcon Scott. Port Lockroy – This Historic Site and Monument, run by the UK Antarctic Heritage Trust, features a small museum, working post office, and gift shop. The Trust is also collecting data on the resident gentoo population to determine the impact of visitors on penguin population dynamics. Dry Valleys – A series of snow-free valleys in Antarctica that experience very low humidity, the Dry Valleys are the world’s most extreme deserts. South Pole – Visiting the South Pole, the lowest point on earth, is a feat few people have achieved! A four- to five-hour flight aboard a ski plane can take you into the interior, or you can choose to travel overland on skis. South Georgia – When traveling literally to the ends of the earth, it is well worth including this sub-Antarctic island. 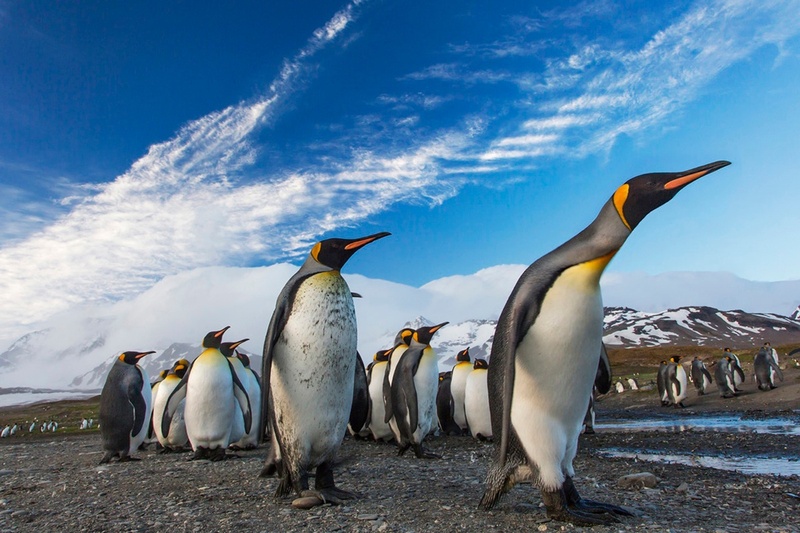 You will be rewarded with stunning mountainous scenery, vast colonies of king, gentoo, and macaroni penguins, and beaches covered with elephant and fur seals. 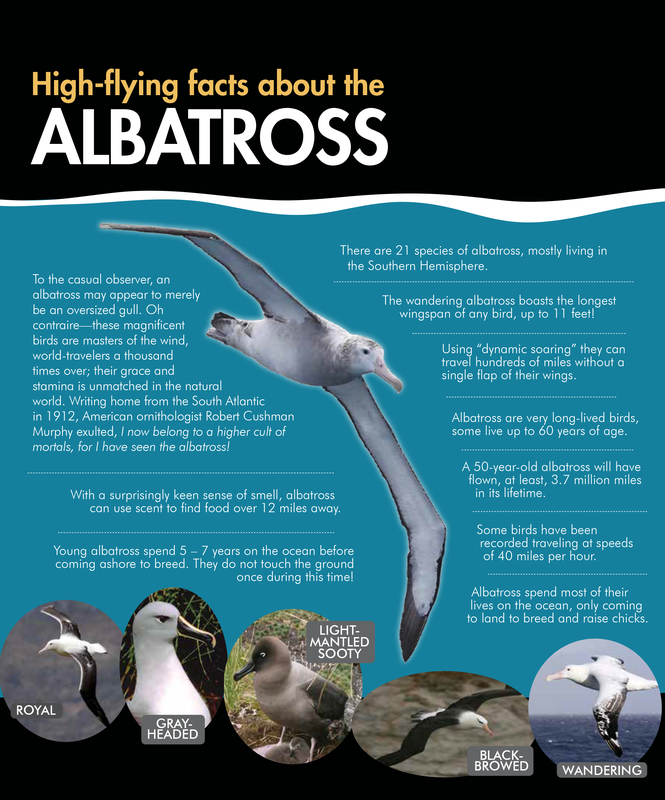 South Georgia is also a great place to find two species of nesting albatross—wandering and light-mantled sooty. Falkland Islands – These lovely windswept islands are home to large colonies of black-browed albatross, as well as rockhopper and Magellanic penguins. Elephant Island – This island is famous as the desolate refuge of Ernest Shackleton’s crew in 1916. The crew spent 137 days on the island before being rescued. Lemaire Channel – This scenic strait off the Antarctic Peninsula is nicknamed “Kodak Gap.” Extremely photogenic, steep cliffs hem in the iceberg-filled passage, making this one of the most popular destinations in Antarctica. There are more options for exploring Antarctica than ever before! When choosing a tour, consider what you’d like to see and experience and what you’re looking for; which is just as important as how you get there. Small sailing or motor yachts carry less than 12 passengers, offering an intimate experience with access to areas that larger vessels can’t go. Disadvantages include longer transit times and more movement during rough weather. Expedition ships carry 13 - 500 passengers, though vessels that carry less than 200 passengers have access to a broader range of landing sites and typically offer more landings. 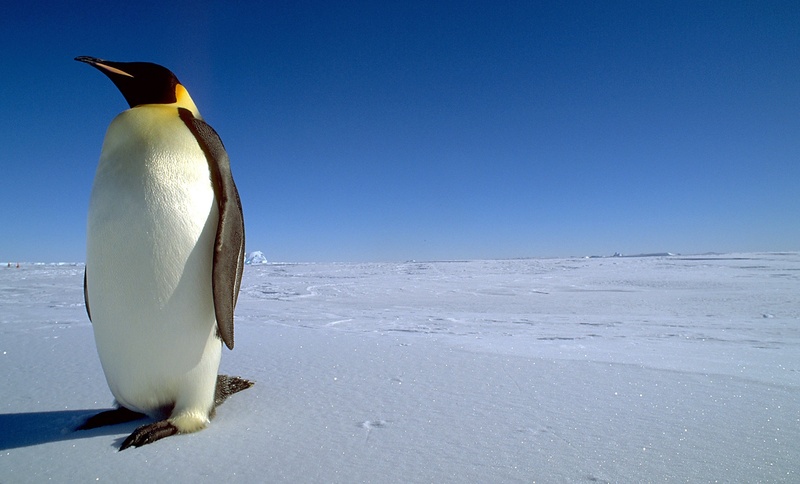 An icebreaker with a helicopter is needed to access emperor penguin colonies and the Dry Valleys. 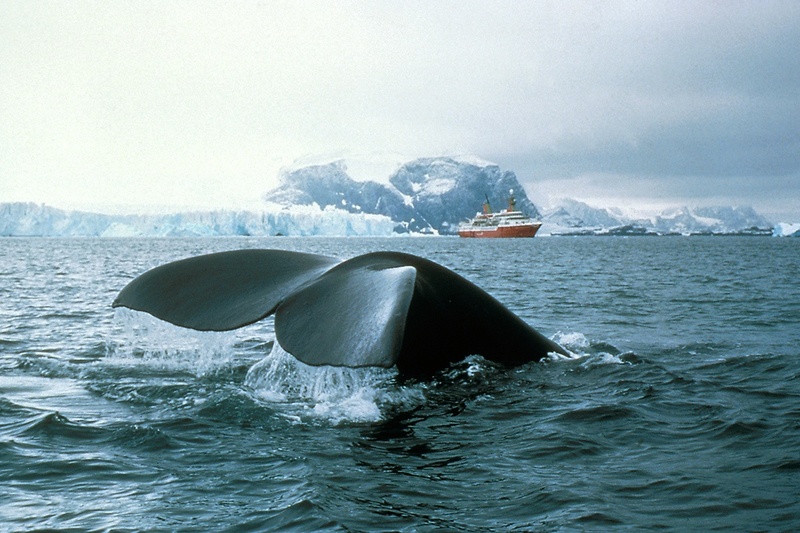 Cruise-only ships carry 500 or more passengers and are not allowed to land any passengers while in Antarctic waters. The advantages of larger ships include a shorter Drake Passage crossing, smoother rides in rough weather, and more public spaces. and visiting emperor penguin colonies. There’s a lot more to Antarctica than just ticking off a list for bragging rights. There’s a lot of amazing things to do in Antarctica, making it one of world’s best adventure travel destinations. 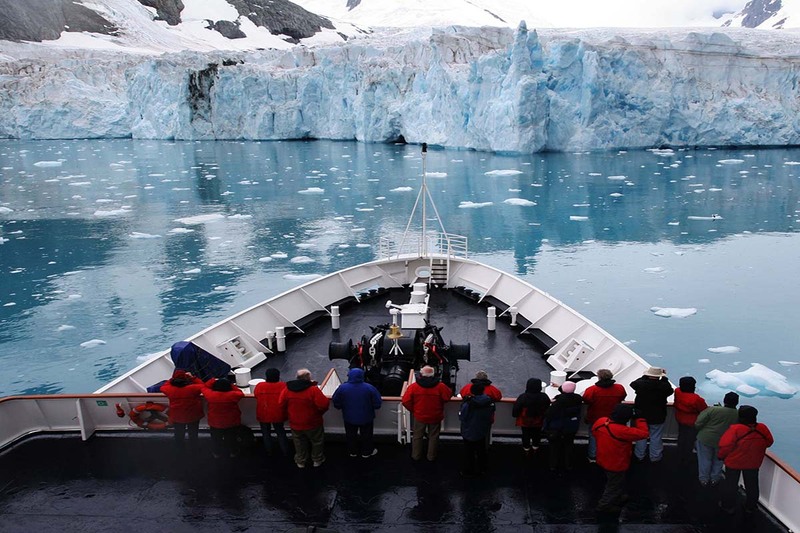 Observing Nature – While ashore or from the deck of the ship, wildlife enthusiasts will revel in the vast penguin colonies, seals resting on the shore or ice floes, and waters that support healthy populations of whales. Cruising by Zodiac – These inflatable rubber boats are the best way to explore this rugged environment. Land on remote, otherwise inaccessible shores, search for wildlife, cruise among a huge array of wind- and sea-sculpted ice, and enjoy ever- changing views of the amazing scenery. Hiking – From short strolls to multi-day treks, there are many options for exploration on foot. 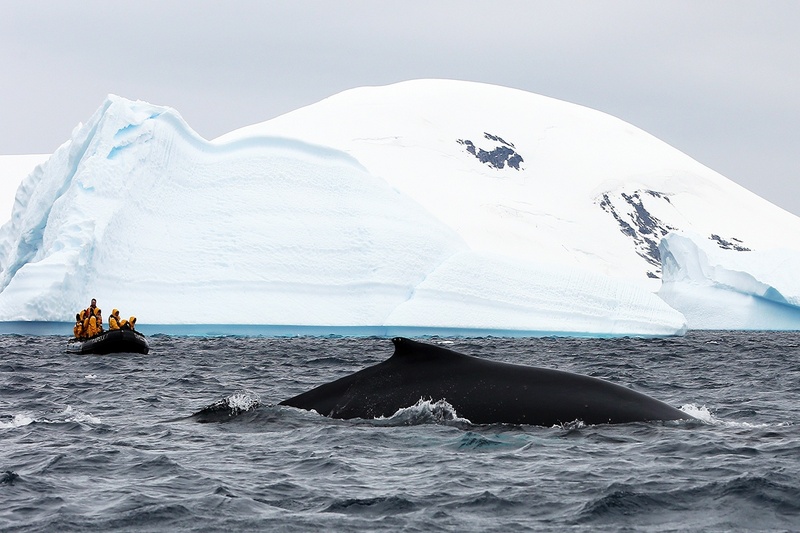 Whale Watching – Humpback, right, blue, sei, fin, sperm, minke, and killer whales all congregate around Antarctica during the austral summer, with numbers peaking in February and March. Kayaking – Whether you’re gliding through the smooth waters of a protected bay, coming face-to-face with wildlife, or simply soaking in the stunning scenery, exploring by kayak offers travelers a truly unique perspective. Photography – Whether you are an avid photographer or a casual point-and-shooter, photographic opportunities abound! The long hours of daylight offer endless moments to get up close shots of wildlife, intriguing photos of icebergs, and stunning scenic vistas. Camping – Spend the night surrounded by penguins, seals, and the solitude of pure wilderness. Far from city lights, be sure to spend some time star-gazing. Mountain Climbing – This is an exciting option for experienced mountaineers with some technical abilities and a good level of fitness. Though there are options for every skill level, be prepared for harsh conditions, extreme cold, and sometimes ferocious winds. Learning More – Most cruises offer a lecture program, or other educational component, to help you understand the wonders you will witness. Topics range from natural history and geology, to the Historic Age of Exploration. Weather and ice conditions are at their most friendly/most visitable during the austral summer, November – March. 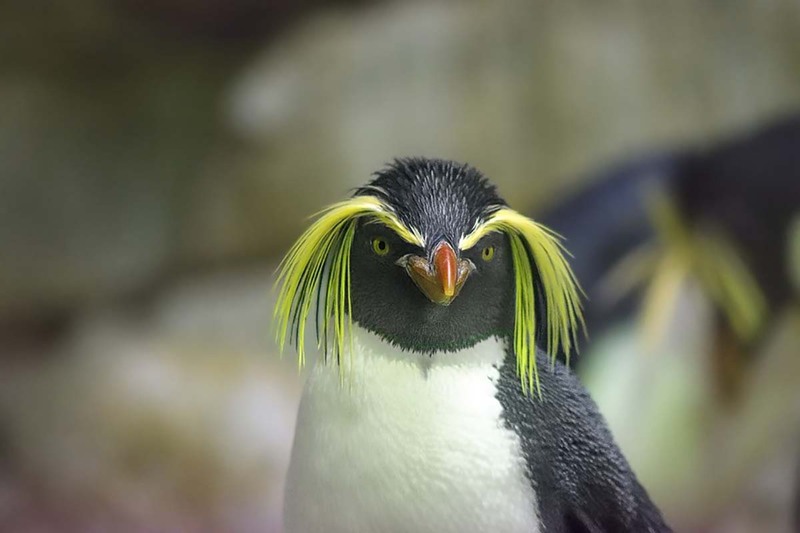 January is considered by many to be the best month to visit, as the temperatures are usually mild and the vast penguin colonies are busy with parents tending to downy chicks. Packing for Antarctica is certainly part of the excitement in preparing for this trip of a lifetime. 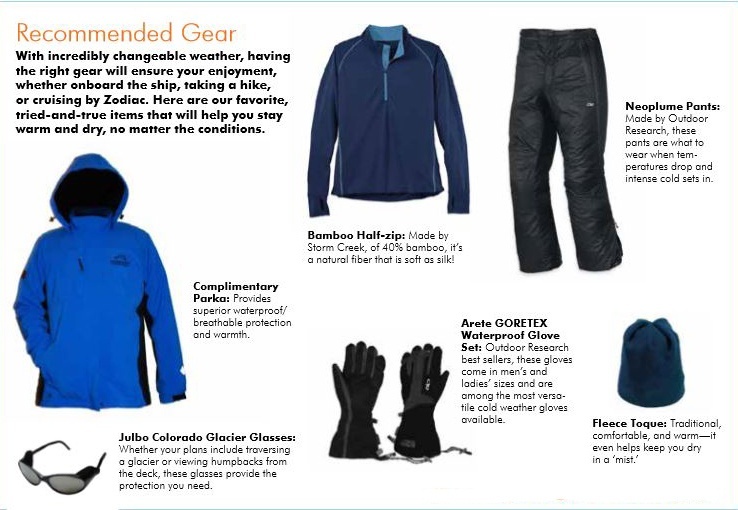 But, it’s also essential that you get it just right to ensure you are able to stay comfortable, warm, and dry—for hours on end— while out exploring in the elements. 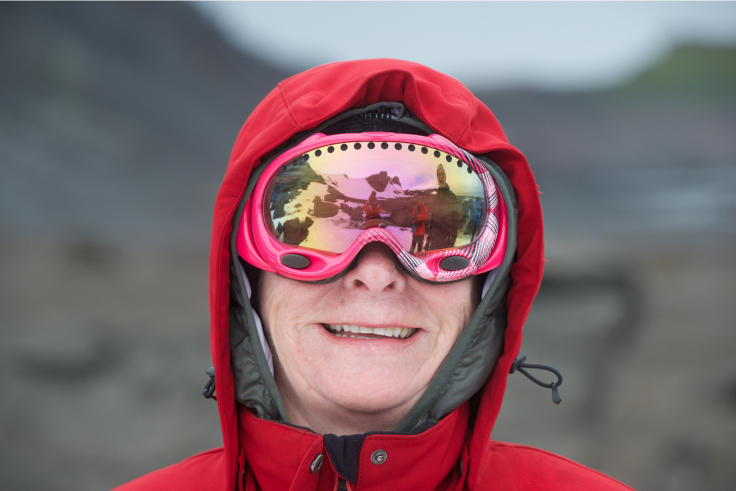 Below, please find the essential packing list for an Antarctic expedition. Be sure it covers your ears! 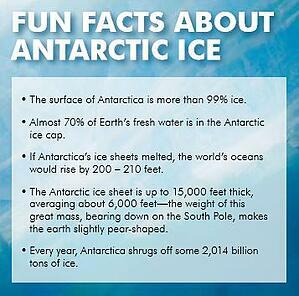 Antarctica is the highest, driest, windiest, and coldest continent in the world. With all of its islands and ice shelves, Antarctica covers 8.5 million square miles; nearly 1½ times the size of the USA and twice the size of Australia! Mount Vinson is the highest mountain in Antarctica at 16,050 feet, and peaks in the Transantarctic Mountains commonly exceed 13,000 feet. These lofty mountains help contribute to the extreme cold, as well as unpredictable weather patterns. Due to these harsh conditions, very few species can survive here. The words “polar” and “desert” may seem contradictory, but that’s only because most of us associate the latter with sundrenched, sand-covered landscapes. Yet desert actually describes any desolate stretch of land that is waterless and without vegetation—and by that definition, Africa’s Sahara doesn’t hold a dowsing rod to the polar deserts of Antarctica and the Arctic. In sheer land mass alone, Antarctica’s polar deserts scorch the competition—covering more than 5.5 million square miles, they comprise an area larger than the Sahara, Arabian, Gobi, and Kalahari combined. (The Arctic comes in a close second at 5.4 million.) While a desert landscape is defined as an arid region that receives less than 10 inches of precipitation a year, Antarctica gets only about two inches annually. Its aptly named Dry Valleys haven’t seen rain for at least 2 million years! Made up primarily of bedrock, large boulders, and gravel plains, Antarctica’s Dry Valleys are dotted by a number of frozen, hyper-saline lakes including Don Juan Pond, the world’s largest. (With a saline level over 40 percent, it is also the saltiest body of water on Earth, beating the Dead Sea by nearly 10 percent.) That’s not exactly the picture you think of when you hear “White Continent,” yet the effect is caused by the snow-covered Transantarctic Mountains. This mile-high range, which divides the continent, serves as a natural barrier for the East Antarctic Ice Sheet. Given the valleys’ arid environment, any ice that does break off the surrounding glaciers immediately turns into vapor, totally bypassing the liquid stage. The average winter temperature in Antarctica’s polar deserts is around -20 degrees Fahrenheit, and can drop as low as -90; during summer months, it can warm up to a balmy 30 degrees, producing short-lived streams that link the lakes. Also during warmer months, there is nearly 24 hours of daylight, while the reverse is true during the cold season. While explorers long believed that these Dry Valleys could not sustain life (Robert Scott, who discovered the region in 1903, called it “a valley of death”), scientists in the 1970's unearthed a number of microorganisms in the area. Since then, nearly 350 vascular species have been found, and it is estimated that nearly 5 percent of Antarctica’s polar deserts are covered in some flora, although the tallest shrubs reach no more than three feet in height. Sea Ice – Ecologists call the annual formation of sea ice in the South the greatest seasonal event on Earth. In the late fall, it expands at the rate of 30 square miles per minute—effectively doubling the size of the continent by winter. Glacier Ice – The ice in a glacier is not just frozen water; it is compressed snowflakes. It results from snow falling and falling and falling—and not melting—for uncounted millennia, until the sheer weight of the mass crushes and metamorphoses the snow at the bottom. The crystals merge and re-form, and a new kind of ice is born—and it starts to move. Ice Shelves – Amalgamations of glaciers that carry so much force, they do not stop when they reach the edge of land, but thrust out over the ocean and bury the land under a vast expanse of frozen freshwater. Iceberg – A large piece of freshwater ice that has broken off an ice shelf or glacier and is floating freely in open water. Tabular Bergs – Flat-topped icebergs formed by breaking off the ice shelf. Some can be hundreds of miles long and rise several hundred feet above the surface. Early explorers often mistook them for islands, because they defy belief that such enormous objects could be floating. 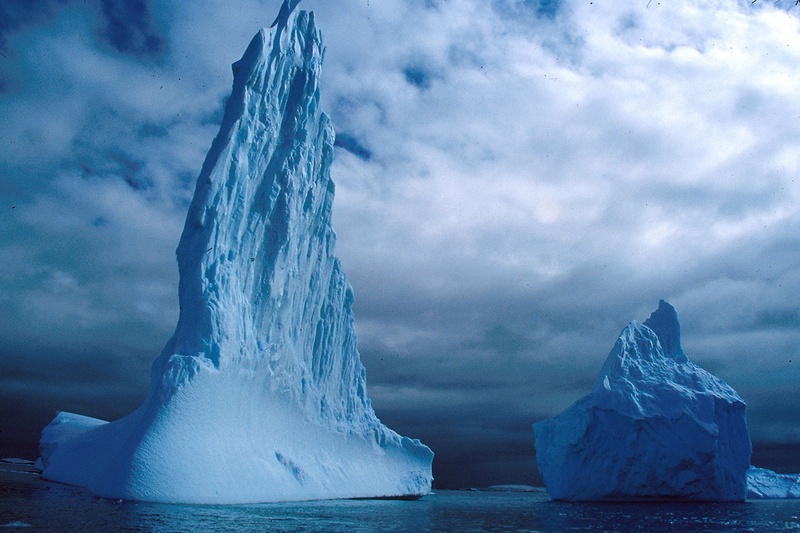 Iceberg – Pieces of ice that measure more than 1,100 square feet in area, and stand more than 16 feet above sea level. Bergy Bits – Smaller icebergs that rise 3 – 16 feet above sea level, with an area around 1 – 3,000 square feet. Growler – Smaller chunks of floating ice that rise less than three feet out of the water, roughly the size of a grand piano. Fast Ice – Sea ice that has “fastened” to the coastline, sea floors, or grounded icebergs. Drift (Pack) Ice – Sea ice that is carried along by winds and sea currents. Though the ancient Greeks first hypothesized the existence of a southern landmass, Antarctica remained undiscovered throughout most of human history. It wasn’t until the late 1800's that the existence of this mythic land was finally confirmed. 1773 - Captain James Cook crosses the Antarctic Circle and circumnavigates Antarctica, though he never actually sights land. 1820 - First sighting of the Antarctic Peninsula by Palmer, Bransfield, and Smith. On a separate journey, Thaddeus von Bellingshausen sights an icefield at 69 degrees south and lays claim to being the first person to set eyes on the Antarctic continent. 1823 - British whaler James Weddell discovers the sea named after him, then reaches the most southerly point at that time: 74° 15’ S. No one else manages to penetrate the Weddell Sea again for 80 years! 1840 - British naval officer and scientist, James Clark Ross, takes two ships, the Erebus and the Terror, to within 80 miles of the coast until stopped by a massive ice barrier—now called the Ross Ice Shelf. 1898 - Adrien de Gerlache and the crew of the Belgica become trapped in pack ice off the Antarctic Peninsula, in the first scientific expedition to the continent. They also become the first to survive an Antarctic winter (involuntarily!) as their ship drifts with the ice. 1899 - Carsten Borchgrevink leads a British expedition that landed men at Cape Adare and became the first confirmed team to overwinter on the Antarctic landmass. 1901 - British captain, Robert Falcon Scott, leads his first Antarctic expedition to try to reach the South Pole, with Ernest Shackleton and Edward Wilson. They are forced to turn back two months later having reached 82 degrees south, suffering from snow blindness and scurvy. 1907 – 1909 - Shackleton leads an expedition to within 97 miles of the South Pole, but turns back after supplies are exhausted. 1909 - Australian Douglas Mawson reaches the South Magnetic Pole in January. 1911 - Norwegian Roald Amundsen leads a five-man expedition that reaches the South Pole for the first time on December 14. 1912 - On January 18, Scott reaches the South Pole with his own five-man team to discover he has been beaten by Amundsen; they perish on the return journey, only 11 miles from the supply depot. 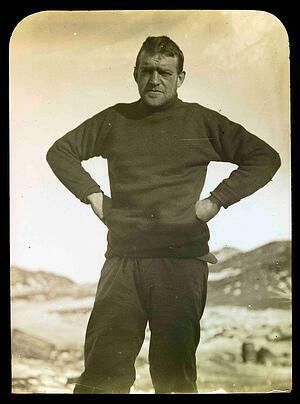 1915 - Shackleton returns to Antarctica in an attempt to complete the first crossing of the continent. The goal is not attained, but one of the greatest adventures of all time follows. 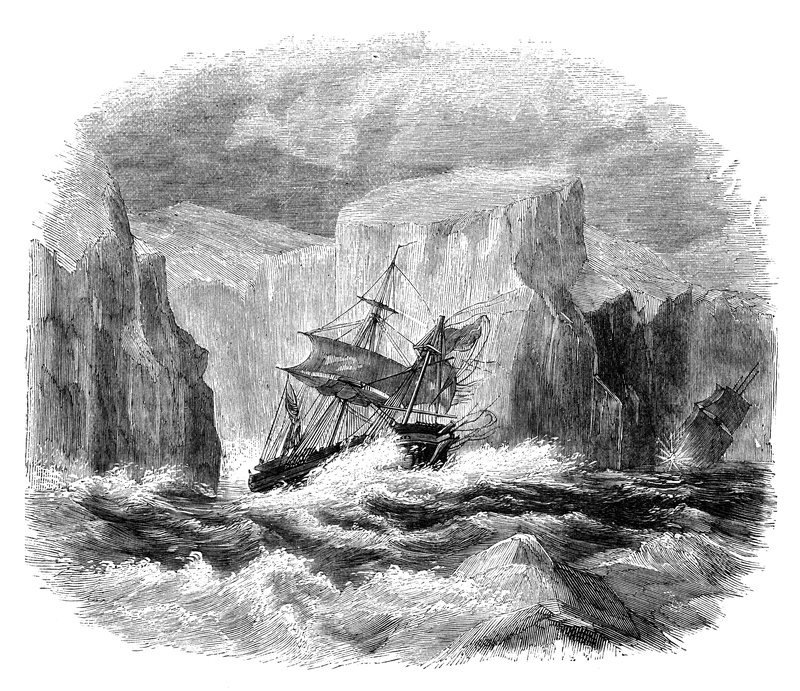 Their ship, the Endurance, is crushed in the sea ice and a small party sets out for South Georgia and the whaling station. The party is eventually rescued in 1917. 1929 - Richard Byrd and three others take off in a Ford monoplane from his base at the Bay of Whales and head for the South Pole. They become the first to fly over either pole in an airplane. 1947 - The US sends the largest-ever expedition of over 4,000 men, 13 ships, and 23 airplanes to Antarctica in Operation Highjump. Large areas of the coastline and hinterland are mapped—with some 70,000 aerial photographs. 1956 - US aircraft lands at the South Pole. This is the first visit since Scott and his team in 1912. 1958 - The first successful land crossing via the South Pole is led by British geologist Vivian Fuchs with New Zealander Edmund Hillary leading the back-up party, over 40 years after Shackleton’s expedition set out with the same aim. 1961 - The Antarctic Treaty System comes into effect and guarantees freedom of access and scientific investigation in all areas south of 60 degrees latitude. Board your independent flight via Buenos Aires, arriving in Ushuaia the next day. Gather at the hotel this evening for a welcome dinner and overnight. Today, enjoy a boat trip on the Beagle Channel and disembark in Tierra del Fuego National Park for nature hikes surrounded by dramatic scenery. Or, enjoy a city tour in Ushuaia, with free time to explore on your own. Board the ship this afternoon and set sail for the Falkland Islands. Attend lectures on the natural and historical highlights ahead during a day at sea. 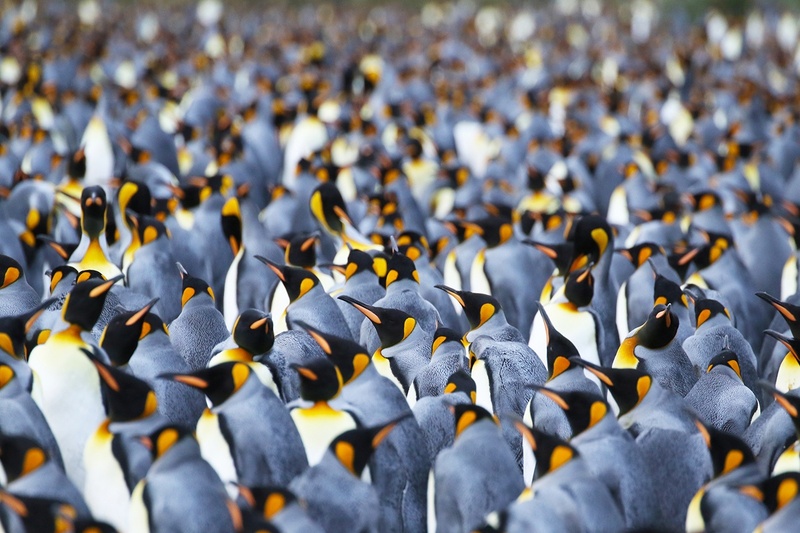 On Saunders Island, you will find colonies of gentoo, rockhopper, and Magellanic penguins. Lecturers recap your experiences and prepare you for your visit to South Georgia. On deck, join naturalists in search of the seabirds and marine mammals that flourish in these nutrient- rich waters. Flexibility in this area is a must. Call at some of the many islands, bays, and coves where you will see outstanding birdlife, as well as elephant and fur seals close at hand. The following is a list of places you may experience on a visit South Georgia. Stromness Bay – This former whaling station is the site of Sir Ernest Shackleton and his party’s arrival after their harrowing crossing of the island’s glaciers on foot. A short hike inland offers views of cliffs and a glacier from which the adventurer and his companions descended. Grytviken – Go ashore to discover the ruins of this once- active whaling station, making stops at the small museum and well-preserved Norwegian church. The cemetery holds a special fascination, as it is here that Shackleton is buried. 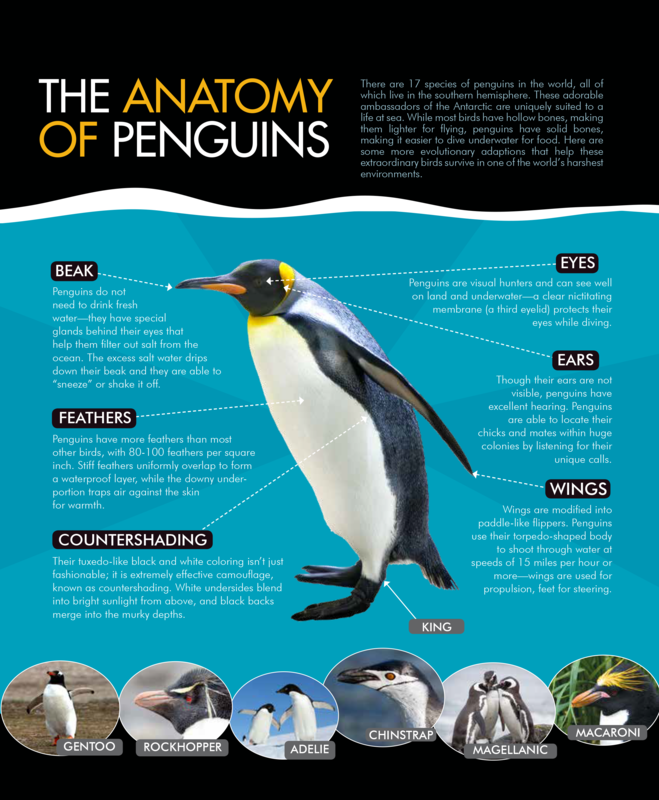 Seabirds, penguins, and marine mammals can also be found here. Gold Harbour – At the foot of the Bertrab Glacier, Gold Harbour is often referred to as the “jewel in the island’s crown.” In addition to a large king penguin colony, you are likely to see elephant and fur seals, gentoo penguins, giant petrels, and with luck, light-mantled albatross. Today arrive at Elephant Island, made famous by the Shackleton expedition. Weather permitting, enjoy a Zodiac cruise around the island and the opportunity to view a thriving chinstrap penguin colony. As you cruise the waters of the Antarctic Peninsula and its adjacent islands, landings are dependent upon weather and ice conditions. There is the possibility that you may visit a research station and witness the scientific activities conducted by the multi-national community of scientists working there. The expeditionary nature of this voyage precludes guaranteeing specific stops; in the past we have visited the following locations. This list serves as a guideline only of the places you may experience. Deception Island – As you approach Deception through Neptune’s Bellows, a channel just wide enough for the ship to navigate, southern fulmars and pintado petrels soar overhead. Weigh anchor inside a volcano whose collapsed cone was filled by rushing seawater. Conditions permitting, make a landing on the outside of the caldera to visit a colony of more than 100,000 nesting chinstrap penguins. Lemaire Channel and Pleneau Island – Cruising the beautiful Lemaire Channel, keep watch for the humpback and minke whales frequently spotted here. 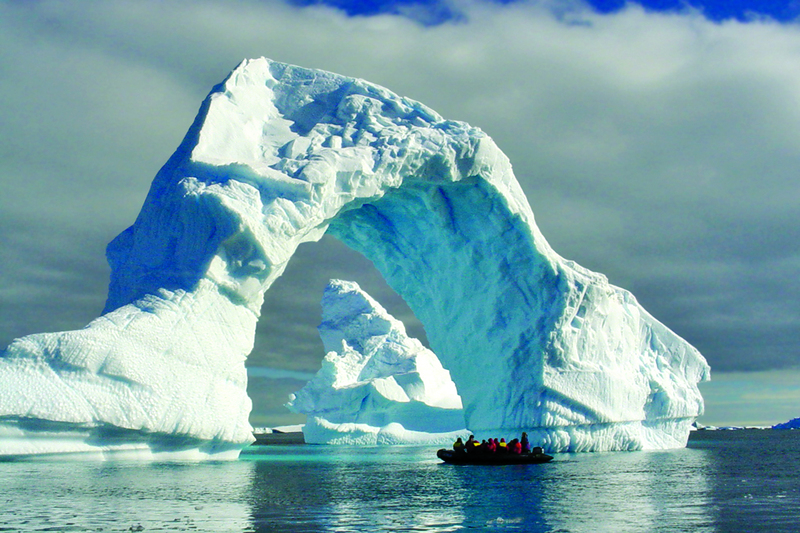 This narrow channel is one of the most visually impressive areas of the Antarctic Peninsula. Steep mountain peaks jut out of the sea on both sides, and the waters are often choked with icebergs. A stunning labyrinth of grounded icebergs lies in the shallow waters west of Pleneau Island, presenting a superb Zodiac cruising experience. 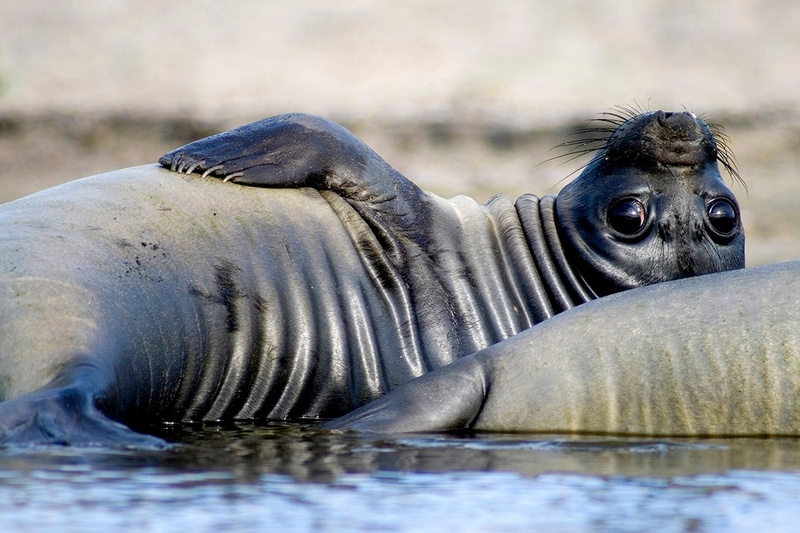 Crabeater and leopard seals haul out on the ice, and elephant seals and gentoo penguins occupy the island itself. During two days navigating this legendary body of water, lecturers recap your Antarctic adventure. You will have the opportunity to observe wandering and black-browed albatross, as well as sooty shearwaters, and white-chinned petrels. And, keep a lookout for the whales that are often found here. Disembark in Ushuaia and transfer to the airport for your flight to Buenos Aires, connecting with your independent overnight flight. "I have been to 6 continents with a variety of travel companies, and in my opinion, Zegrahm outperforms any of the others by far. I have now traveled twice on the Clipper Odyssey, and both times the service, attention to detail, and tours were unforgettable. I am now a second generation Zegrahm fan, my parents having traveled numerous times with the company, and we still plan to continue traveling with you as long as you continue to offer such interesting, well-run trips." "One cannot find a finer company. Each expedition is well thought out and planned to optimize every moment. If something isn’t right they fix it and if nothing could be better they make it so. They make every expedition a treasured memory – simply magical!"